T-shirt and poster design/art for an industry BMX race. 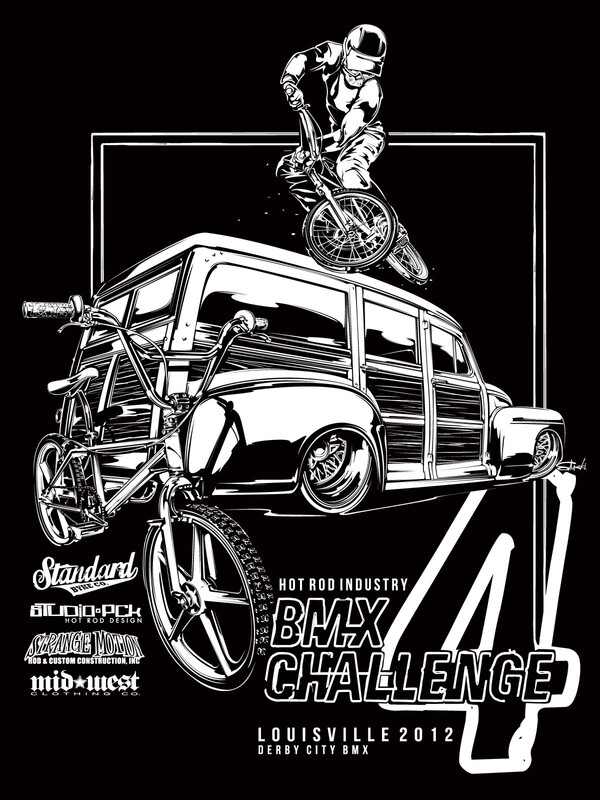 Each year, I'm honored to create a one-color design for the annual Hot Rod Industry BMX Challenge. For this fourth installment of the race, which takes place the Saturday night of the Louisville NSRA Nationals, I kept with my theme of some action, and brought in another touch of nostalgia with a static freestyle bike... The Woodie wagon got the treatment, as well, slammed on some deep wire wheels, just because.